Are you a school looking for temporary buildings? Is your school outgrowing its current premises and you are looking for temporary classrooms for a new influx of pupils? If so, don't hesitate to contact the expert team at Modular Direct who are the UK’s leading supplier of prefabricated buildings to educational establishment. 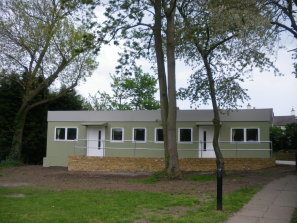 Modular Direct are renowned for their prefabricated buildings which make ideal classrooms where a temporary building is required. They offer bespoke modular buildings that can be designed to meet your specific requirements to create the perfect classroom environment for teaching children of all ages. Buildings can occupy a single or double storey. In the days of ever tightening school budgets, the expert and highly experienced team at Modular Direct fully appreciate that cost is an important factor in the allocation of funds to create more classroom space. As such they will work hard to meet your budget and always provide the most cost effective solutions that are in your best interests. To find out more about temporary prefabricated buildings, especially for schools, please visit the website http://www.modulardirect.co.uk or give them a call on 01482 881700.